Chris Fogle is starting his 24th year of teaching this fall. He currently teaches at Twin Valley South Jr/Sr High. Fogle teaches all the 8th graders in math, a high school Algebra 1 and a Geometry class. He also teaches Intermediate Algebra at Miami University. Fogle has taught from 7th grade math to Calculus 2. In Fogle’s spare time, he promotes the Desmos Graphing Calculator with PD and is a Khan Academy Ambassador. For his hobbies, he coaches Junior high football, coach youth soccer, member of local youth theater board, and teaches youth group activities at his church. 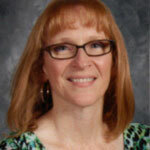 Beth Kasler just completed her 15th year teaching English, and her 1st year teaching in Ohio. Prior to moving to Ohio, I spent 14 years teaching in Bristol, TN, the last four of which were in a 1:1 environment. Kasler is what a former principal called a “clicker.” She have discovered so many resources just by spending endless hours clicking on things (obviously not with total reckless abandon) and then adapting them for use in the classroom. She is passionate about digital learning, and is willing to share resources with anyone and everyone who is willing to listen. Kasler was a district and building technology integration and digital conversion leader and trainer. She is a regular presenter at technology conferences on topics that include: Schoology, Diigo, Office 365, technology integration, data conferencing, text-dependent questioning and standards-based grading; and have written about personalized learning. She’s a life-long learner who isn’t afraid to try new things. While Kasler has always taken an “all-in, feet first” approach to digital learning, she knows that not everyone moves at the same pace. The number one piece of advice she gives to digitally reluctant educators is to choose one thing and start there. Don’t be afraid to take it slow. Once you are comfortable with that one thing, you’ll begin to see a natural path to the next thing, and so forth. Take the first step, and don’t be afraid to fail. As educators we are all partners in educating the digital natives in our classrooms and partners do whatever it takes to make everything work, which means that there will always be someone there to celebrate success and to support you through failures. Cory Schrader is a fourth grade teacher at Pemberville Elementary School in Pemberville, Ohio and was responsible for the creation of lessons and activities for fourth grade teachers and students. Cory teaches reading, Language Arts, and social studies and has completed 15 years of teaching. Previously, Cory taught eighth grade social studies at McPherson Middle School in Clyde, Ohio. Cory is a graduate of Bowling Green State University where she earned both my bachelor’s and master’s degrees. 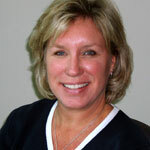 Cory currently resides in Bowling Green, Ohio, with her husband and two daughters.